Most of us are routinely accused of being "crazy dog lovers" or "dog nuts" - which we personally see as a compliment... Chances are that you surround yourself with friends who love dogs and animals as much as you do! One sure way to make them happy this Christmas is to give them a gift for their dogs(s) or at least one that acknowledges their love of dogs. 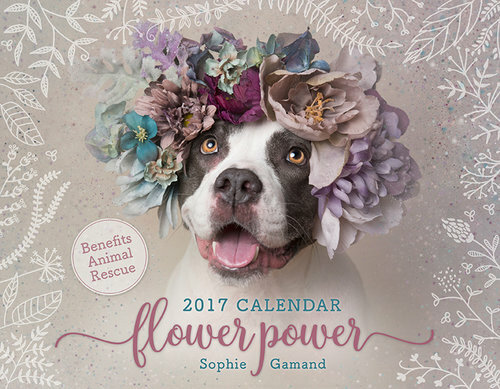 We searched high and low to select our 20 personal favourites from homewares and fashion, jewellery, accessories, christmas cards, calendars and coffee table books that assist rescue shelters, not to forget the ever popular tech gadgets! Happy Christmas shopping! 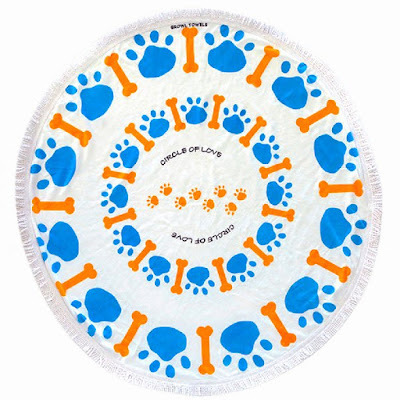 For the dog lover who shares everything with their pooch, why not wrap yourself and your furry pal(s) in one of these heavenly 100% cotton roundies from Growl Towels! 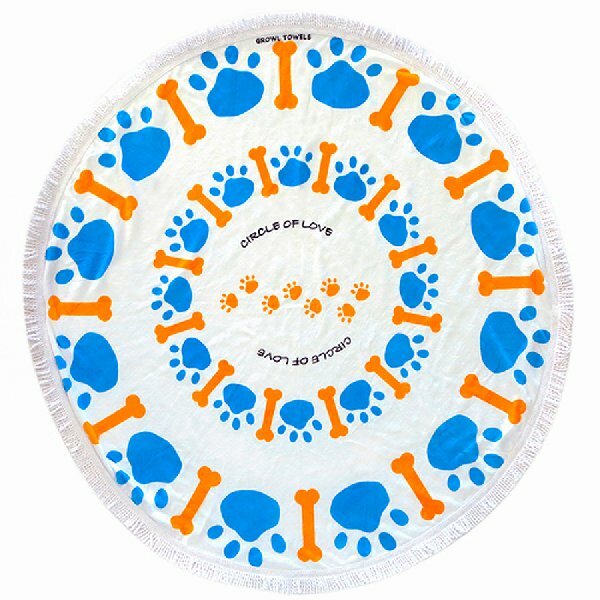 Designed to share, this round towel is 1.5m in diameter so there is plenty of towel to roll around on, snuggle into or spread across! It can be used as a traditional beach towel, a picnic rug or around the home to protect your favourite chair from dog hair and dog claws. The velour side provides a comfy soft warm surface for you and your dog’s pleasure, whilst the natural cotton is cooler and absorbent in summer too. Their black & white version won the 2016 Family Choice Award in the USA but any of the designs would look great in any Australian home or by the pool this summer! This 100% linen cotton canvas West Highland Terrier tea towel is part of a range designed specifically for dog lovers by Lazytails Designs. The fabric is a sophisticated lightweight canvas woven from 55% linen and 45% combed cotton and measuring approximately 66cm x 42cm. Perfect for a gift - especially for someone who loves their Westies. 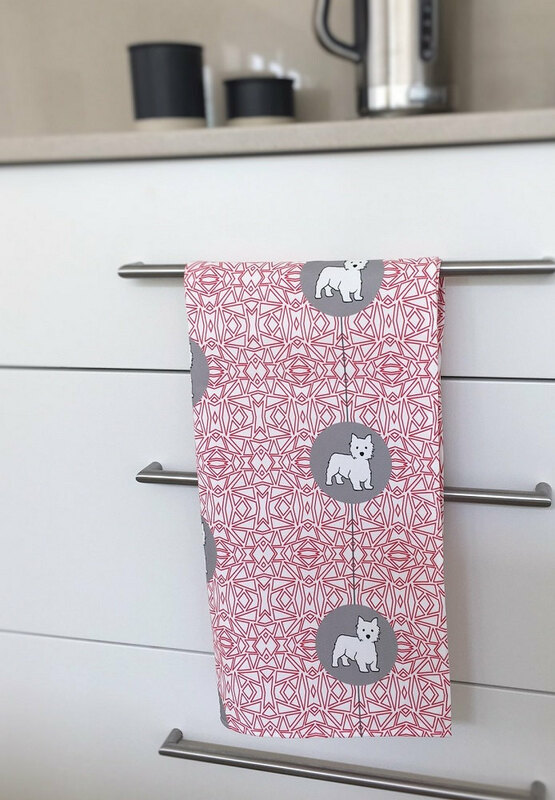 Or for you – to make the washing up more fun! 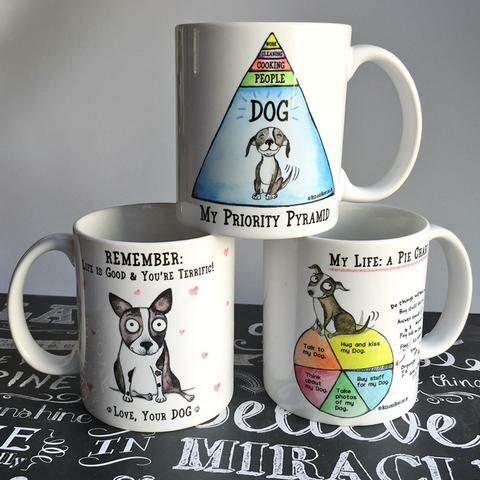 There are many other breed designs available: Beagle, Boxer, Chihuahua, Poodle, Schnauzer, Greyhound , Staffy etc. 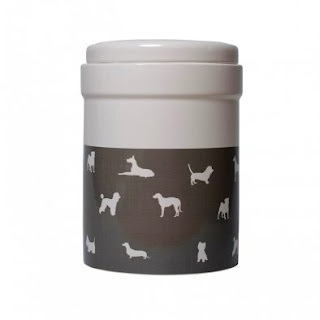 Let’s face it, your dog may love treats but he/she cares very little for design and containers! However we do and just fell in love with this dog design treat jar! This ceramic canister by Mog & Bone has a secure lid and a silicone seal for preserving freshness. Keep your pets' favourite treats out of reach, for easy access to rewards when they deserve a treat. It is suitable for dog and cat treats and it will look great displayed on your shelves. Let’s get drooling! Do you love dogs? Do you drink hot beverages? Then this is the gift for you! This Dogmania! Mug Trio features some of the most popular cartoons by Amy Luwis from Red and Howling: My Life: A Pie Chart mug; Remember: Life is Good mug and My Priority Pyramid mug. The artwork (on both sides of the mug) is baked into the surface of each mug, so it will not scratch or chip. R&H mugs have an extra hard surface that will keep the artwork vibrant through years of washing (dishwasher and microwave safe). These stunning “Rescued Blockheads”, “Rescued” 2017 calendars and “Fetching Puppies” Diary were all photographed and designed by Sydney pet photographer, Ruth O’Leary from Ruthless Photos. Both calendars are an A3 size featuring 300gsm stock covers whilst the internal pages are printed on 150gsm with plenty of room for writing birthdays, appointments, “hot dates" etc. on each day. Almost all of the photos are actual adoption photos taken throughout the year with the aim of producing these calendars and a diary in order to raise important funds to help Fetching Dogs rescue and in some cases rehabilitate, and rehome dogs of all breeds, sizes and ages. 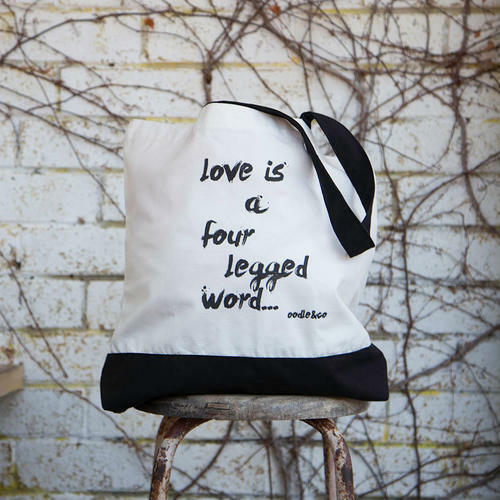 100% of the profits from the sale of these items goes directly to this rescue organisation. Besides getting dogs adopted, it has started a revolution in the way pit bulls are perceived around the world. Sadly, all the models from the calendar this year are still waiting for homes and collectively, they have been waiting for over 15 years! These Christmas cards by Everything the Dog & Co. feature unique dog breed designs and artwork and come with special messages such as “Merry Christmas from your Fur Baby” or “Merry Christmas to my Hooman”! It would be so hard to pick just one design so why not mix and match? Custom artwork is also available if you get in touch with the company directly. 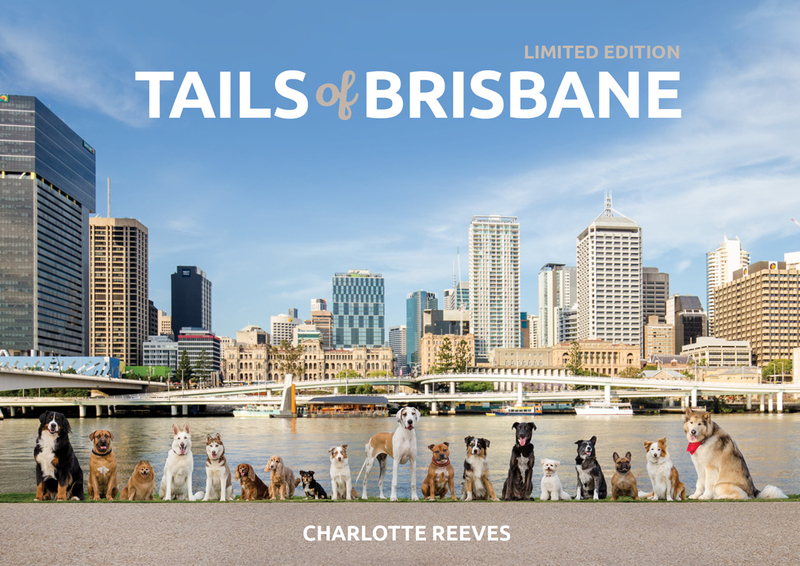 Tails of Brisbane is a limited edition photography book featuring over 500 beautiful full colour images and is a must-have for any dog lover, especially if you live in and around sunny Brisbane! The entire book was photographed by Charlotte Reeves, who shares snippets of the lives of her furry subjects as they explore over 70 locations together. 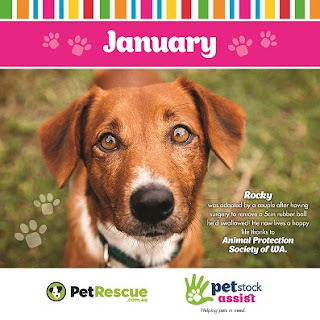 Every book purchased supports local Brisbane pet rescue organisations, helping them continue the valuable work they do in the community, rescuing and rehabilitating abandoned or unwanted pets and finding them loving forever homes. Isn't that what Christmas should be all about? For the tech lover in your life, you can’t go past the newly released PetKit FIT P2 this Christmas. This bluetooth driven device will track calories burnt, general activity levels, sleep patterns and even your dog's mood! 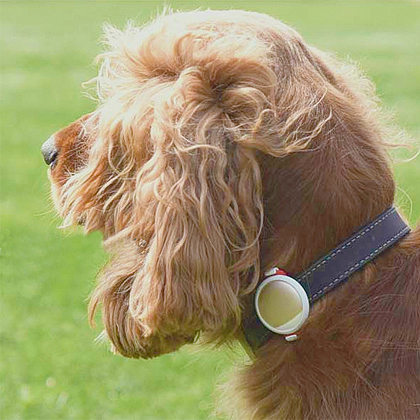 This second generation of Pet Activity Monitors is so lightweight that it can be used by both cats and dogs. It tracks movements, emotions, health conditions as well as both short and deep sleep intervals with a calorie expenditure indicator built into the PetKit application. You can also set health calendar reminders (tick & flea prevention, worming, vaccinations, even grooming appointments etc.). It comes with a free app (Android & Apple smartphones) which works with all other PetKit devices (Fresh Smart digital pet bowl or Mate video monitoring system). 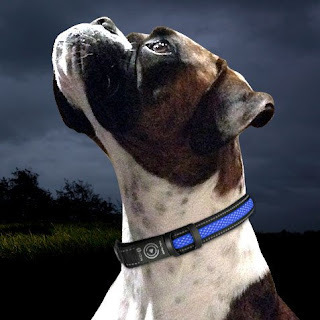 The ION LED Dog Collar is designed in Australia and uses the latest LED and fibre optic technology. It features three flashing modes: fast flash, slow flash and a constant glow. This device can easily be charged with a USB cable connecting to your smartphone charger or computer. One hour for quick-charge and three hours for complete charge. This Dog T-Shirt with its classic black and white design comes with a meaningful message which will appeal to any dog lover: “A dog can change the way you see the world”. The women’s sizing is designed to be roomier, but more fashionable than the unisex T-shirt. This T-Shirt is made of 100% ring-spun cotton, pre-shrunk so it is a soft, mid-weight fabric. There is an added V-notch detail at the bottom. 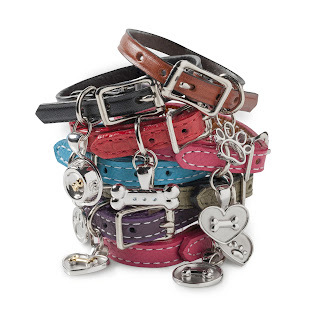 These luxurious and fashionable coloured bracelets are made from Italian leather and will accent any Lisa Welch Design pendants. The unique design does resemble a dog collar and is versatile enough to be worn without a pendant. Or you could be daring and mix and match several colours. This tote draws inspiration from the marvellous Carmen Miranda: elegant, lovable and quirky much like our beloved Greyhounds! This fashionable accessory would make a wonderful Christmas gift for a dog lover. 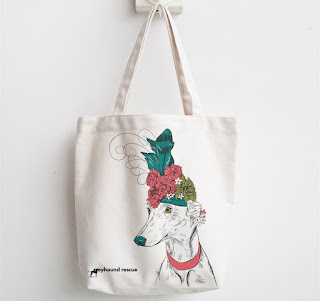 Not only is it a great way to carry your stuff you're also raising awareness about Greyhound Rescue. This is a limited edition with only 50 totes available. 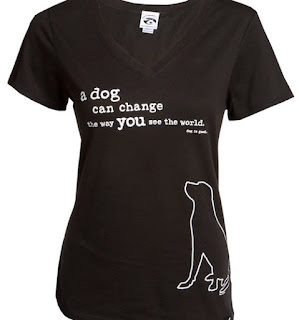 100% of profit goes towards rescue and rehoming costs. Love comes in all shapes and sizes... including with four legs! Made of 100% natural cotton for the modern fur parent, this oodle&co signature tote bag will take you straight from the dog park and beach to shopping and everywhere in between. The fabric is a 100% natural 8oz cotton with black handles and the size is 35.6 x 35.6 x 7.6 cm. 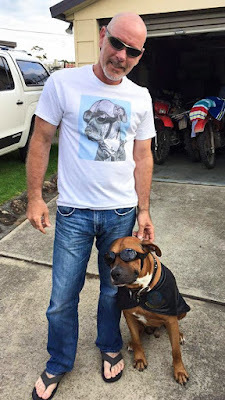 This is a great idea for the dog walker in your life to make a dirty job stylish! 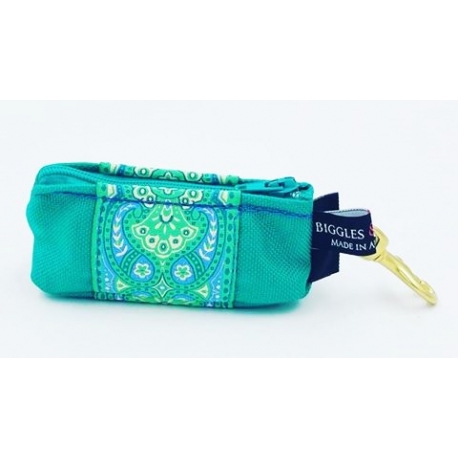 These handy little bags by Biggles and Bailey are made to hold your poop bags on walks but are great for other purposes: clip onto your keys and put your coffee money inside and it is large enough to hold the essentials for a girl's night out. The Cordura waterproof material is used by the military for its durability. These Poop Bag holders are available in a range of designs and fabrics but can also be custom made to match any of their dog collar designs. 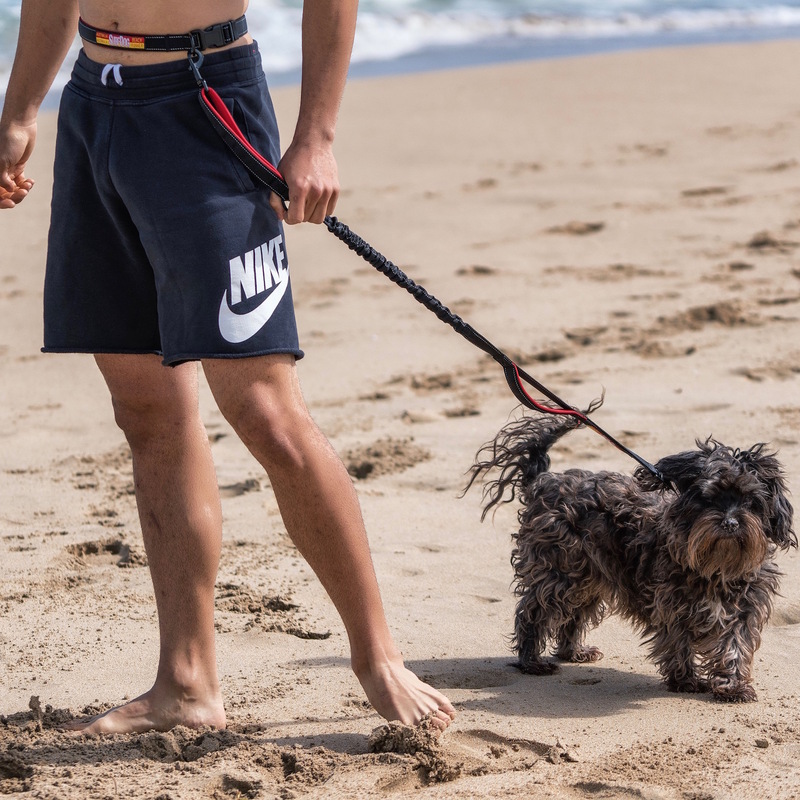 The new Beach Runner Leash by Surfdog Australia leaves hands free for maximum running, holding onto another dog, or drinking your morning coffee! The belt and handles are lined with soft neoprene to make it comfy to wear and use. The leash can be used on its own as a standard leash or use hands free by attaching to the belt. Being 120cm long you can run safely on paths and tracks and it also helps train your dog to run by your side. If you need to pull your dog in quickly, the restraining handle halfway down the leash provides extra control when needed. The next best thing to taking your dog with you everywhere is to have his/her mug printed onto a T-Shirt your partner can wear this summer! 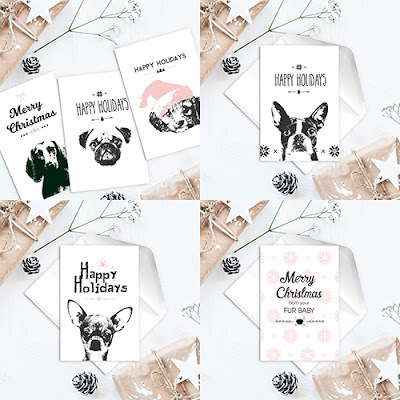 Pop Pet Shirts designs are based on an actual photo of your own dog, cat or any other pet you choose. Simply email them with a close-up fun pic and they'll turn it into Art! They'll email you first to ensure you're happy with the design before printing on a high quality white shirt (you can choose the background colour). Wide range of Men, Women and Children sizes available. It will be shipped straight to your door within 3-7 working days! A wonderful gift for dog lovers, military buffs and collectors, this unique set forever immortalises these heroic dogs and remembers their steadfast loyalty. This stunning series by Great Southern Land Collectables features 5 Australian War Dogs: Smoky, Horrie, Tiber, Herbie and Sarbi, immortalised in full colour silver bullion (one half ounce each). 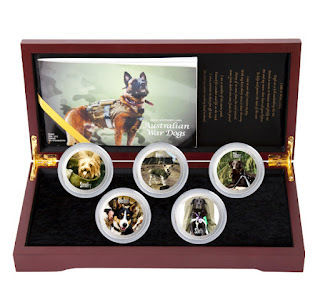 This limited edition is displayed in a beautiful custom made box and including an informative booklet with a snapshot of each dog’s life and travels and an insight into the history of dogs in war. Each set is individually numbered with a certificate of authenticity. NB: $10 from each set sold will be donated to the Australian War Animal Memorial Organisation (AWAMO) with the hope to raise $50,000 to erect plaques and memorials Australia wide to commemorate our brave war animals and the sacrifices they have made. These stylish dog hooks will look at home in any entrance hall. 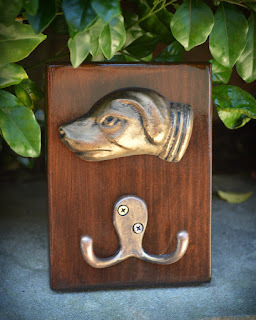 Made using a rare hunting dog head cast from an original 1930’s European candy mold. These are a limited hand-made run, exclusive to Pompous Pets in Sydney. The hooks are available in a double dog leash and a single dog leash design. 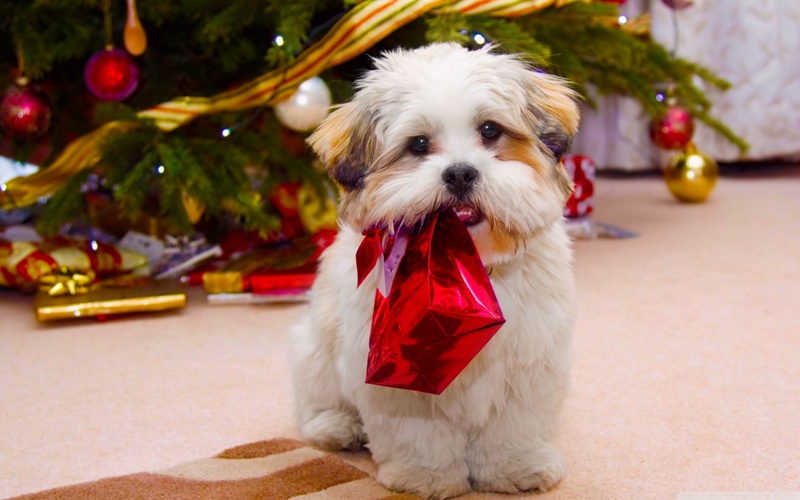 If you are yet to purchase some presents for your pooches this year, don't forget check out our "2016 Best Christmas Gift Ideas for Dogs" for some inspiration!